15 Inch L x 15 Inch D x 24 Inch H Single Tier Welded Steel Locker in Charcoal These designer steel lockers are built to last and feature cool colours that kids and teens will love. Great for storing school supplies, books, back packs, clothes, shoes and much more. All lockers are Greenguard Certified. 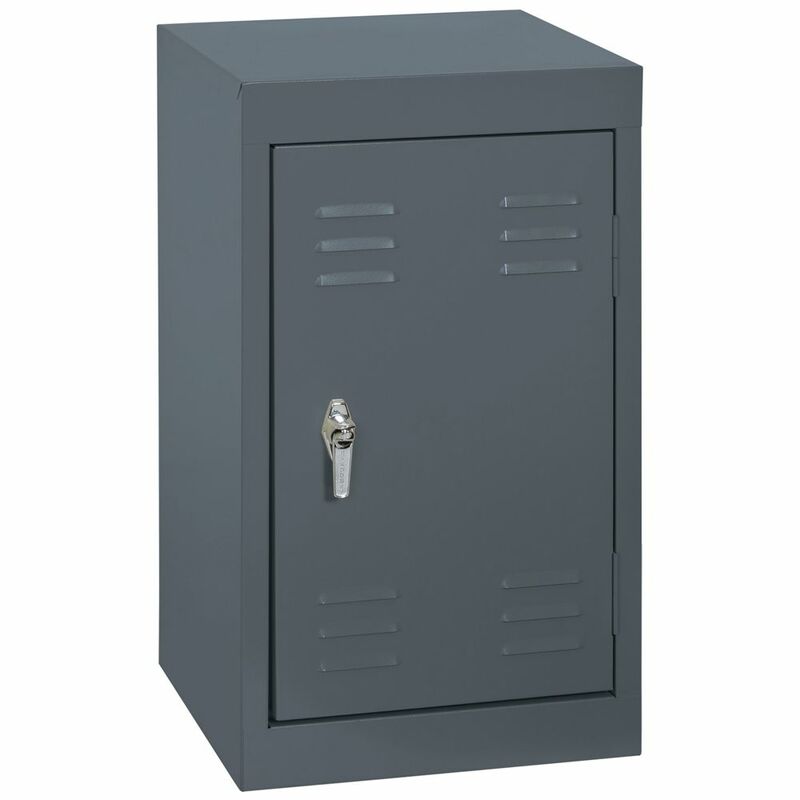 15 Inch L x 15 Inch D x 24 Inch H Single Tier Welded Steel Locker in Charcoal is rated 3.0 out of 5 by 1. Rated 3 out of 5 by VetsHousing from Not what we expected The picture and description are decieving on this product. We were looking for a locking locker, which this is but the handle to open the door was difficult to slide up and the place for the lock was tight and hard to work with. We ended up taking off the handle it came with and replacing it with a simple hinged lock for use with padlocks.